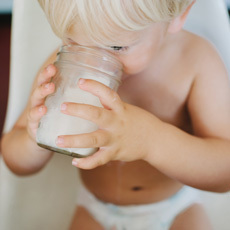 Is there enough iron in your baby’s diet? 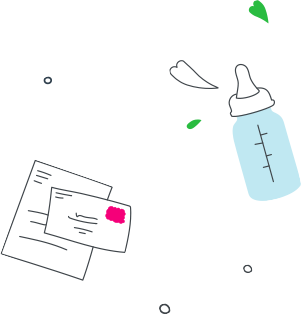 For the first 6 months, breast milk or formula meets all your baby’s nutritional needs, but these needs change as she grows. At 6 months of age, your baby’s iron reserves are depleted, and it becomes necessary to introduce iron-rich solid foods to meet her iron requirements and help prevent iron deficiency. * Make sure these are well-cooked. These iron-rich foods provide protein and iron and should be provided to your baby at least twice a day. 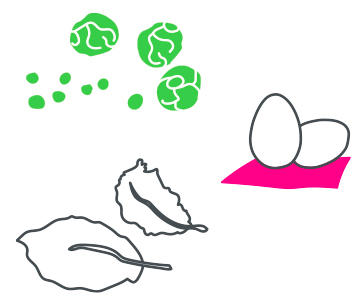 They also provide vitamins and other minerals, such as zinc. 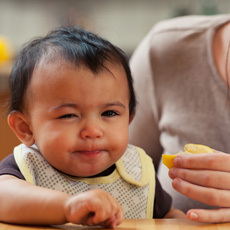 Aside from making sure to start with iron-rich foods, there is no special order to introduce new foods to your baby. 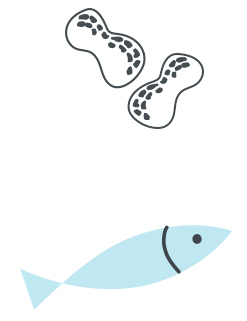 According to the Canadian Paediatric Society, common food allergens, such as peanuts, fish, wheat (including iron-fortified infant cereals with wheat), milk products, soy, and whole eggs, can be introduced from about 6 months of age. There is no evidence that delayed introduction of these foods can prevent your child from developing allergies. This applies even if your child is at high risk for developing an allergy (a child is considered at high risk if a parent or sibling has an allergic condition). Talk to your doctor if you are unsure. If you are following a vegetarian lifestyle, a well-balanced vegetarian diet may be suitable for your baby. However, if too many foods are excluded, your baby’s diet may not be meeting her requirements. It’s best to consult with a dietitian to make sure she is getting what she needs to grow and develop normally. Iron-enriched baby cereals not only contain iron, but other vitamins and minerals as well. 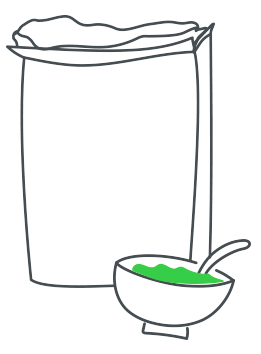 1 teaspoon) of dry cereal with liquid and give it to your baby. If she readily accepts it, continue until she is satisfied, adapting to her appetite. Gradually increase the quantity over time. Once your baby is eating iron-rich foods at least twice a day and has a varied diet, you can introduce other grain products. 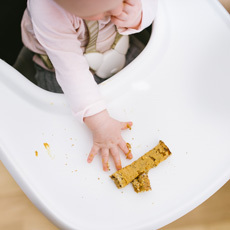 If your baby accepts different textures, offer her foods like toasts, pita bread, tortillas, breadsticks, unsalted crackers, unsweetened oat ring cereal, and all types of pasta. It is best to choose whole-grain products as they contain more fibre and may help your baby have regular bowel movements. can help you get the energy and nutrition that you need while you are pregnant or breastfeeding.